Can be mounted on most surfaces. Size: 2" X 5" - Small | Color: Med. 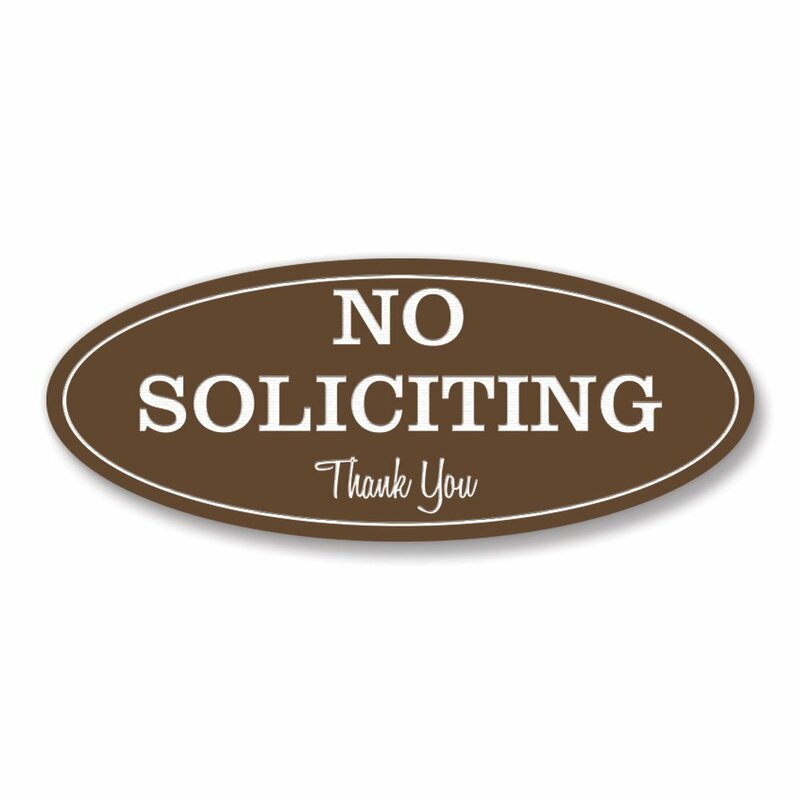 Brown Plastic No Soliciting sign for your door or wall.